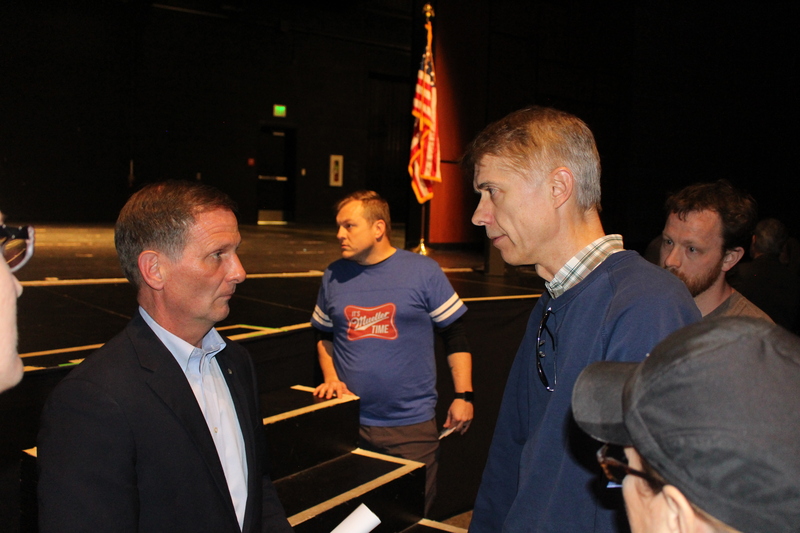 ST. GEORGE — The first few moments of U.S. Rep. Chris Stewart’s town hall meeting in St. George Tuesday included him bragging about shooting an AK-47 with members of his staff a few hours earlier. “I showed my staff that I could shoot an AK-47 way better than any of them,” said Stewart, the Republican congressman representing Utah’s 2nd congressional district. 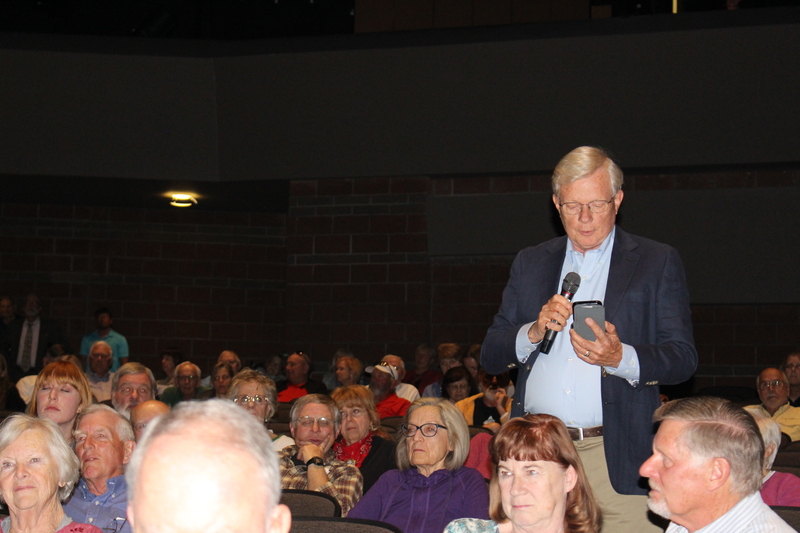 What followed was a somewhat contentious debate with members of the public on issues like gun control, Russian collusion and taxes. 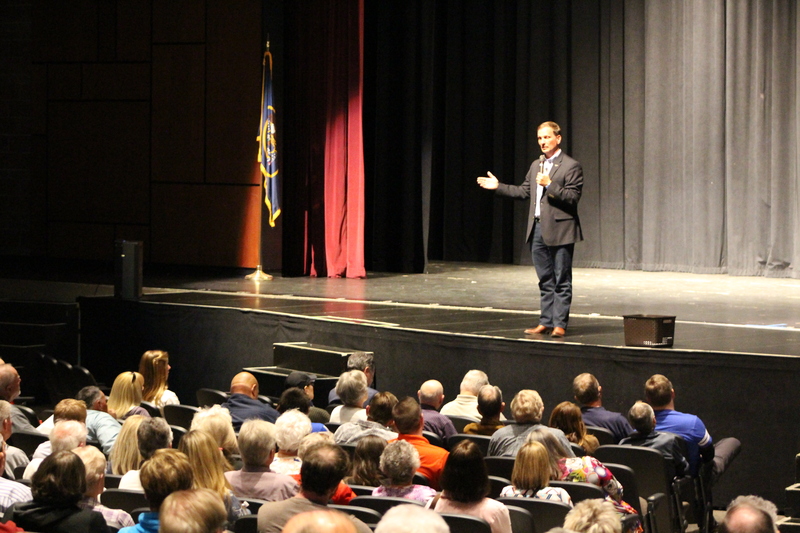 Stewart held the town hall meeting at Desert Hills High School to answer questions from members of the public. Several hundred people attended. After Stewart asked for a question “from somebody who thinks I’m nuts,” Joseph Platt, who said he’s a gun owner with roots in Southern Utah, asked Stewart what his stance was on assault rifles in the public’s hands — a question that drew both cheers and jeers from the audience. Stewart said he supports measures that would temporarily take away guns from people with mental health issues and ban items like bump stocks that essentially turn semi-automatic guns into automatic ones. Stewart assured the audience that while he’s a strong supporter of the Second Amendment, he will also support ways “to make society safer.” Stewart didn’t mention President Donald Trump’s idea to arm teachers in the classroom as one of the ideas he’d support. Platt said Stewart didn’t answer his question about why high-powered assault rifles with high-capacity magazines should still be available for people in the public. While the argument is often made that “people kill people and not guns,” Platt said unregulated guns lead to the problem that results in so many deaths to gun violence nationwide. “Unregulated guns that have no purpose other than killing people by whatever name they’re called — these semi-automatic weapons — shouldn’t be in the hands of the public,” Platt said. Kellee Hindes, of St. George, said Stewart did a great job addressing the concerns of people in Southern Utah, especially about the assault rifle issue. Earlier in the town hall meeting, Stewart also said he’s fed up with the news media perpetuating the story of Russian collusion with the Trump campaign before the 2016 election. Speaking of public lands, Stewart mentioned his plan to make Utah’s sixth national park within the existing boundaries of the recently downsized Grand Staircase-Escalante National Monument. 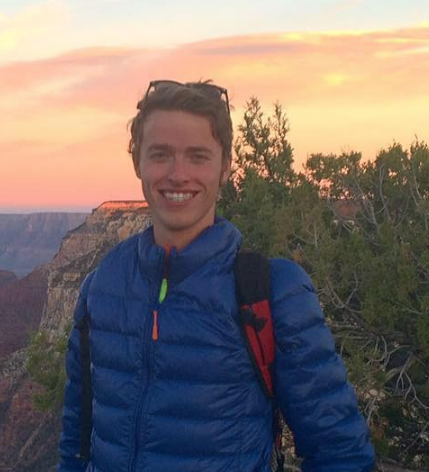 The national park would be called Escalante Canyons National Park and would boost the local economy in rural Southern Utah, Stewart said. As Stewart wrapped up the town hall meeting, he encouraged all those with other questions to contact him directly by emailing him. Funny STGnews didn’t mention that when asked by Rep Stewart, Mr Platt didn’t know what a assault rifle was, he just wants them banned. FYI, only with a special and hard to acquire permit can a citizens have an assault rifle. An AR 15 is simply a semi automatic firearm which requires a pull of the trigger for each round and is NOT an assault rifle. Hearing the concerns of people and how diverse those are, Rep Stewart is in a tough position in which he does as well as we can expect. That said it would be great to see a primary and the voters could choose which way to go forward. Mary Burkett offers such a choice. Oh, to those there, that want gun control, be sure to thank the St George police for being there and providing a good guy with gun — just in case. Remember, usually the police are two minutes away when you need them — now. Oh my word! we have another John on our hands! I suppose a semi-auto ak-47 is a “real ak-47”? If you or anyone you know ever gets shot by something like an AR or an AK I wonder if you’ll still claim “IT’S NOT AN ASSULT RIFLE BECAUSE IT ISN’T FULL AUTO.” What is it if it isn’t an assault rifle? It most def is not a hunting rifle. Some of you people are mental children. As “fun” as weapons like the m-16 are to fire in full-auto mode, it simply makes the weapon impractical 99% of the time. It’s a far more effective killing tool in semi-auto mode. As someone with a great deal of time working w/ this platform (AR’s), and thankfully never had to shoot at anyone, I don’t know where you people get these idiotic notions. *I suppose a semi-auto ak-47 isn’t a “real ak-47”? I win..hahaha..I live in your head rent free !!! AR15s are not assault weapons..period.. you don’t have a clue ! Gunsplain’ed by resident gun fetishist. Pedant. What exactly do you think the “AR” in “AR-15” stands for ? It stands for “Armalite Rifle” Look it up after your donut..doh ! AR stands for: Why ARe people like john so simple? Or: where ARe my select fire switch? Look it up lil bob ! Facts are certainly not your strength ! hahahahahahahaha! The argument over what is and isn’t an “assault rifle” is pointless and a distraction (and the left knows it, which is why they focus on it myopically, and unfortunately effectively). The 2nd Amendment exists to give citizens the same firepower as the government, so they can resist tyranny. Not so they can hunt and sport shoot. Back in 1776 – 1787 that meant the military had muskets and so did the farmers. It didn’t matter if the military had machetes and the farmers did, too. The point was that they were equal, because that is what prevents or ends tyranny. The technology is irrelevant. The 2nd Amendment (and the entire Bill of Rights, Constitution, and Declaration of Independence) aren’t about the technology, they’re about human nature and how to have checks and balances that keep the worst of human nature in check. Which is why it doesn’t matter at all that the Founding Fathers couldn’t envision fully automatic weapons and tanks. The point of 2A is to make sure that the government is threatened a little by the strength of the citizens so they don’t run roughshod over their rights (which its clearly in their nature to do). So, should the citizens have scary “assault rifles”? Yes, specifically ~because~ the technology exists and the military has them. The fact that the military also has fully automatic weapons and tanks and jets and nukes shows that there needs to be some reasonable limit (true, I don’t want my neighbor having nukes), but the reality is we’re already at that limit. No other gun laws are needed, nor will they help the situation, especially when they aren’t being enforced anyway. The left loves to rely on government solutions (laws, regulations, nanny state) and yet has no problem when the government fails completely at those solutions (as clearly happened in Florida at every level). School shootings aren’t happening because we have a gun problem. They’re happening because we have a human problem (mental illness, complete lack of empathy, lack of perspective, lack of meaning, abandonment of morals, etc). The 2A needs to stay because it has a reason: to prevent tyranny. 150 million to 250 million people died in the 20th century because they were unarmed and their governments ran over their rights. The people either starved, were killed directly by their governments, or were killed due to chaos created by their governments. If you do the math that means our current fatalities by firearm in the US would have to triple to reach the same rate of death compared to the world populations rate of death-by-government in the 20 century. The left either don’t know about that history, don’t care, or think that somehow we’re smarter than that and it couldn’t possibly happen here. It ISN’T different this time, human nature DOES apply to us, and we need the 2A now as much as ever. Or has the hysteria over Obama and Trump not shown you that? Clearly we’re still ripe with potential for tyranny of one group by the current group in power, and both sides are guilty of it. In the context of all that I think the argument over what is and isn’t an assault rifle is ridiculous and petty, as is the entire “March for Life” movement which is fueled almost entirely by ignorance (among the young) and a radical agenda (among the power and money behind it). Brian I hear this belief voiced sometimes by gun fetishists but it seems nonsensical, even at first glance. I’m not aware of any gun nuts possessing equivalent firepower to law enforcement or the military. I mean, really, how would could this even work? Are you a troll? Just funnin us with your wackiness? This here is a pretty good match for my point of view overall. But is denying that military-type, semi-auto, rapid-fire light rifles are not “assault rifles” any kind of strategy for defending gun rights? To me it seems dishonest. The leftists have latched onto this label of “assault rifle” and it seems dishonest to argue it, because, let’s be real, that’s what they are. But a few idiots on here think they are furthering the cause by denying that that’s what they are–assault rifles. I wonder why BLM, fish & game, and all these other depts of gov’t should be armed w/ full arsenals of AR-15-type weapons, if not full-auto versions. If even low level parts of gov’t are militarized. I find it a dangerous precedent. Bender is one of those who puts all his trust in daddy gov’t like a little child believing in Santa. Like Bryan said, I believe we can only trust gov’t to a point, so long as they are at least a little fearful of the citizenry. A disarmed citizenry are sheep to the slaughter, which has been proven time and time again throughout history. I believe if leftists had their way they might let us have some single-shot bolt-action type rifles for awhile before finally even confiscating those as well. Maybe they’d let us have black powder muskets–the ones that use balls? Bender, I know a lot of law enforcers use AR’s and sniper rifles. I’m not sure how much more powerful of arms they have than those. I know they get a lot of military surplus m-16s, so maybe they’ve got an arsenal of full-autos. But it isn’t difficult for a gun fetishist to accumulate a fairly equivalent arsenal to police. I am glad the gun fetishists and liberty loons can’t readily buy machine guns and similar. And gun violence is a massive problem in this country, but is there a way to ameliorate it w/o giving ALL the firepower to Daddy gov’t, as leftists would have us do? Violence is a massive problem in this country. The solution lies with the individual, not the gun. Violence has become a horrible part of our culture and removing it is not simplistic. Consider all the different modes of visualizing violent acts; movies, TV, games, and vague boundaries of acceptable vs unacceptable behavior, just to stimulate thinking about the problem. well, humans are a naturally violent species. Combine that with being immersed in a culture that glorifies violence and degeneracy. Bad combo. Help me understand how you define “leftist”. It would seem that you use this term to mean anyone left of your worldview. I place myself firmly in the center of the political spectrum. This means that half of the population could call me a “right wing loon” and the other half a “lib”. Which am I? Dude, these bullet points are comic book caricatures of Democrats you’ve picked up from rabid Fox News commentators, sketchy websites, loony Facebooks posts and email forwards from your nutty uncle. It’s mostly hyper-exaggerated nonsense and certainly not representative of my own views. You’re being played for a sucker by the warped media you consume. Keep spreading your lies and propaganda, Bobby. Nobody is listening to your kind anymore. If you’re a Democrat, the pope is a Muslim. Seriously… do you ever go back and read the inane blather you type? Nobody takes you seriously. NOBODY. I’m hard on you idiot leftists, and I know some of you will cry and sulk, but I do vote for the ol’ d-party. I even voted for the female clinton with all her shrill leftist lunacy. Stewart is nothing more than a republican cult member. He’ll say anything his elders want him to. But then, its Utah. I try to give Stewart the benefit of the doubt but every d@mn3d time I hear him speak, or read an account of a speech, he comes across as a petty partisan warrior. In my mind this is exactly what we don’t need in Washington. With the demise of the caucus system I really hope we can begin to elect a more reasonable state delegation to DC. Curtis in the 3rd district, recently seated, strikes me as a much more thoughtful guy than the 3 Tea Party stooges Lee, Bishop and Stewart. The no. of people killed in mass shootings still doesn’t hold a candle to the no. murdered by tyrannical gov’ts over the decades. It doesn’t need to be a numbers competition, but a full european-style gun roundup does not seem wise in the long run.